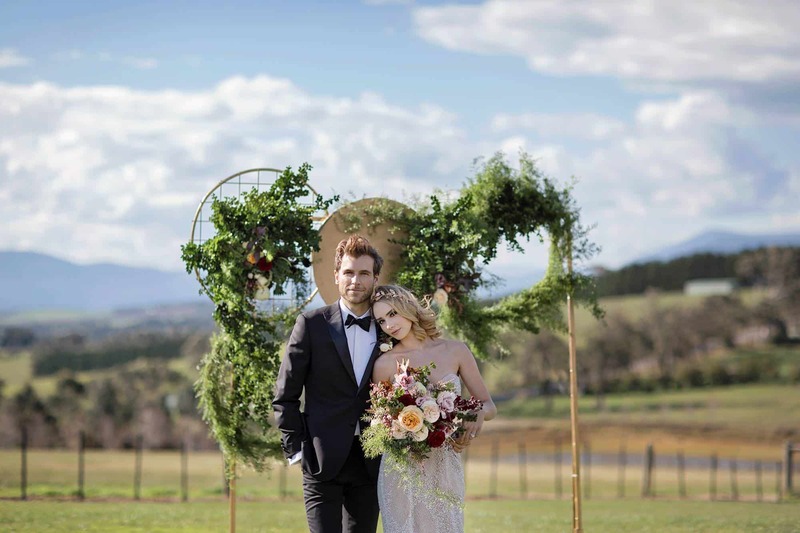 Vines of the Yarra Valley Wedding venue is a stunning property located at the gateway of the Yarra Ranges just 45 minutes from the Melbourne CBD. 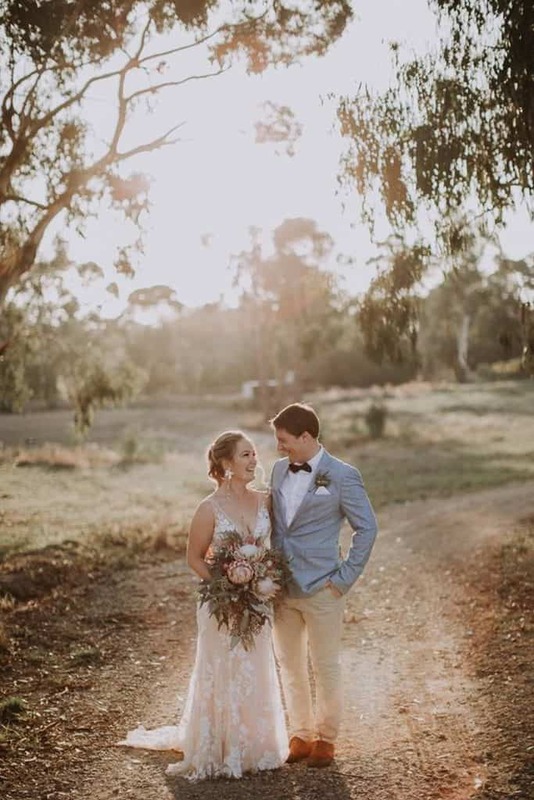 Surrounded by acres of vineyard in every direction, lush lawns and magnificent rose gardens we provide everything you need in one location including free ceremony time. 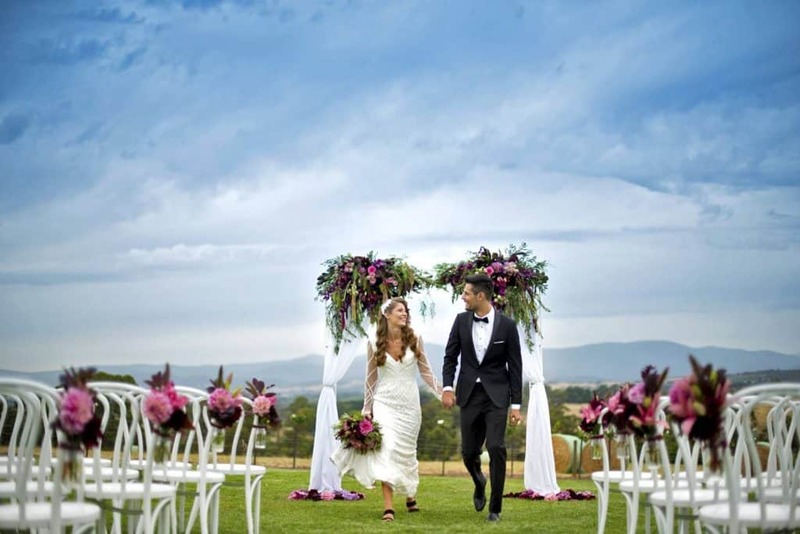 We offer a ceremony location on site with 360 panoramic views of the valley and mountain ranges. 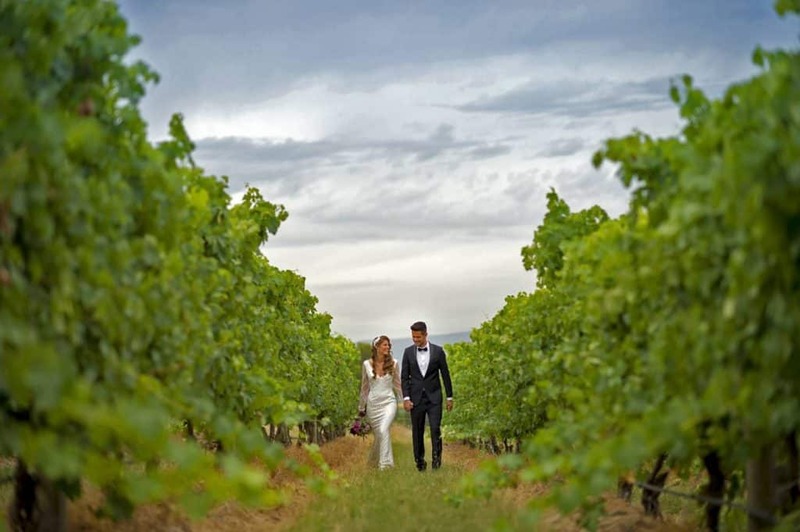 Vines floats above vineyards on Helen’s Hill and offers the best views of the Yarra Ranges making it a perfect location for your Yarra Valley wedding reception. 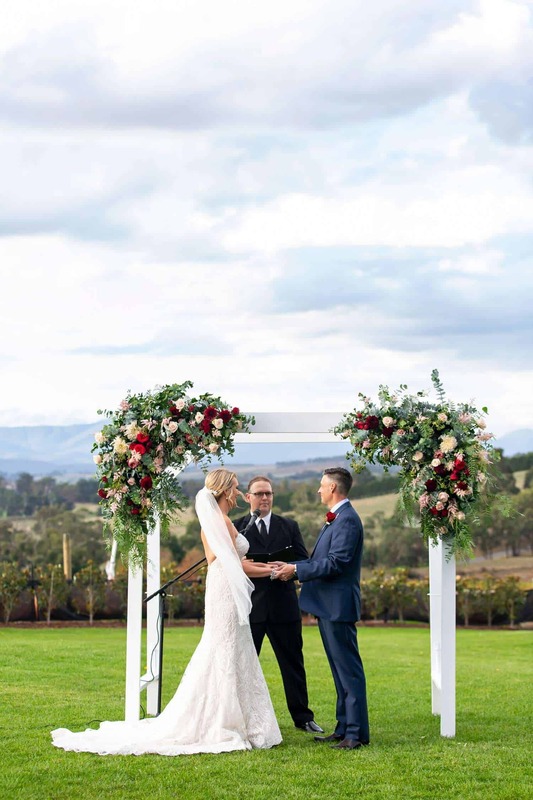 We host stunning Yarra Valley weddings year-round at Vines, taking advantage of our various indoor/outdoor facilities, depending on the weather. Our facilities are versatile and accommodating, designed to maximize spring and summer’s open-air freshness and fall and winter’s crisp light and cozy warmth. 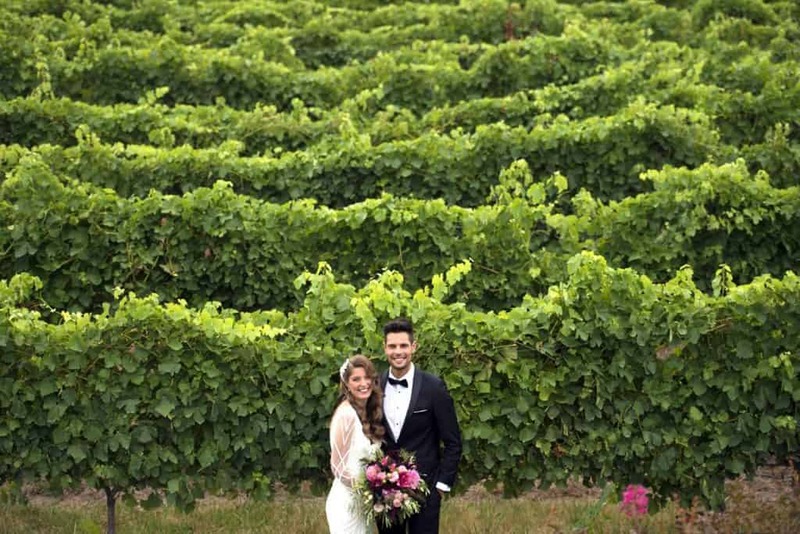 Vines of the Yarra Valley is owned and operated by wedding professionals George and Angela Ross who also run Vogue Ballroom Wedding Venue in Melbourne's South East. 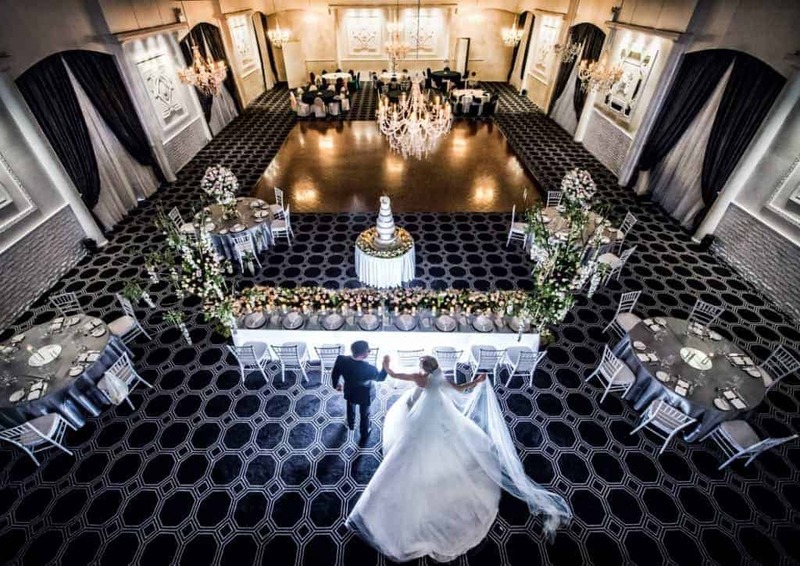 Vogue Ballroom has earned a five-star reputation in Melbourne for delivering elegant receptions and is the larger wedding venue of the two capable of seating up to 400 people. ”Why improve on what’s already been done before? 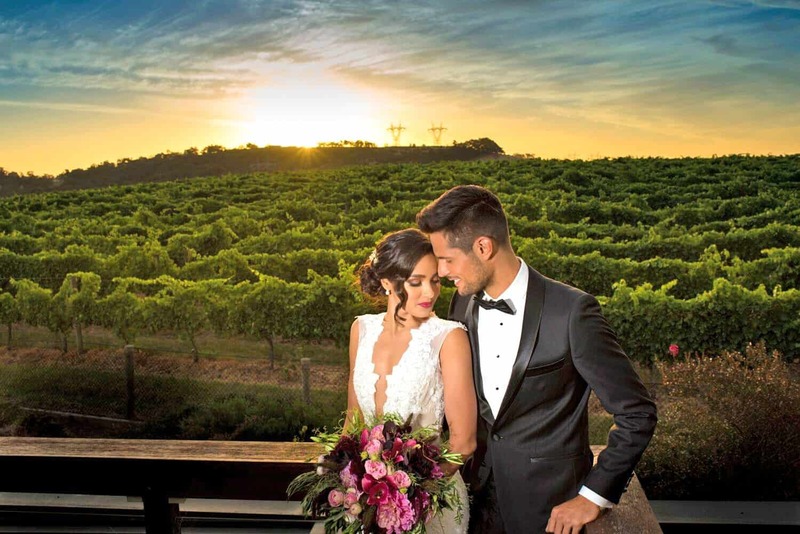 We re-imagine it… Our sole ambition is to inject beauty, passion, and grandeur into your wedding as we create memories that you will cherish forever." The couple has been delivering memorable Victorian weddings for over 30 years to over 1000 happy-ever-after couples. George and Angela have brought the same attention to detail, experience, and professionalism to Vines of the Yarra Valley that made Vogue Ballroom the best wedding venue Melbourne. 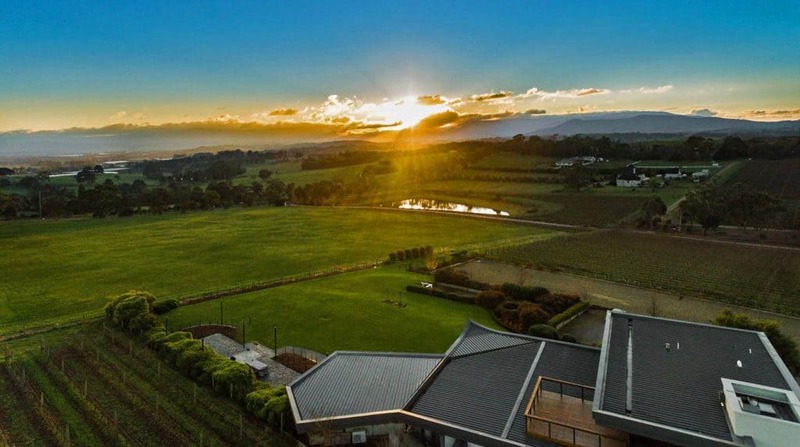 Now couples can experience the same in breathtaking Yarra Valley setting. 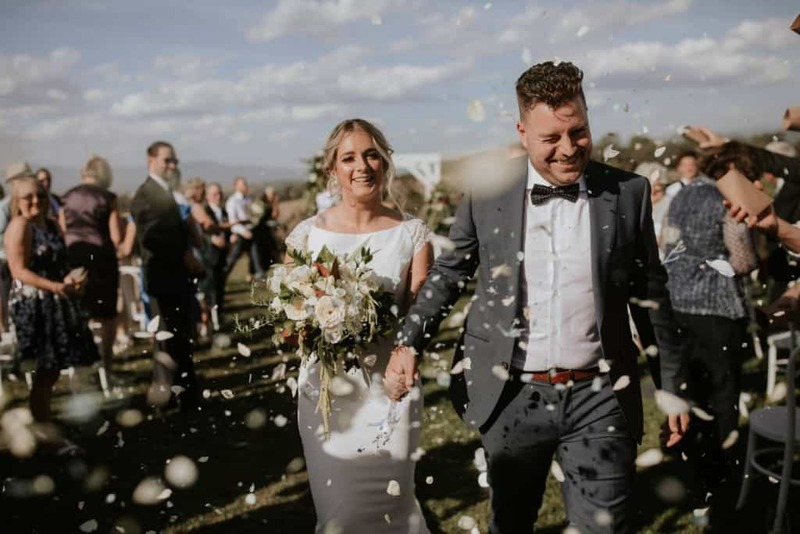 Our all-inclusive Celebration Package, designed with ‘no hidden fees’ will ensure that all of the details for your day are taken care of under one price per guest. You will be pleasantly surprised at all the little touches we include. Our prices do vary depending on the season and day of the week, so it would be my pleasure to discuss with you, your personalized needs and budget to tailor a quotation and package that is perfect for you. 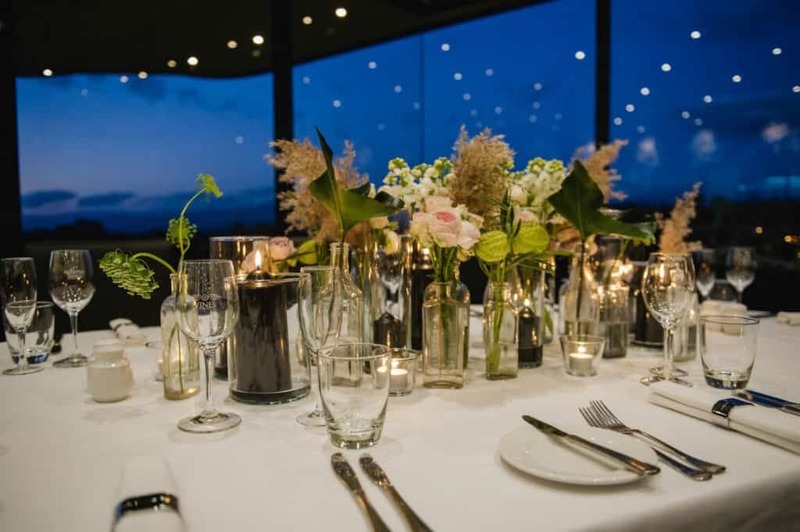 The main room at Vines of the Yarra Valley seats 120 guests, and 140 can comfortably be served for a stand-up cocktail style event. Our upstairs scenic function room sits 50 and is perfect for cocktail style corporate events, engagements and birthdays. 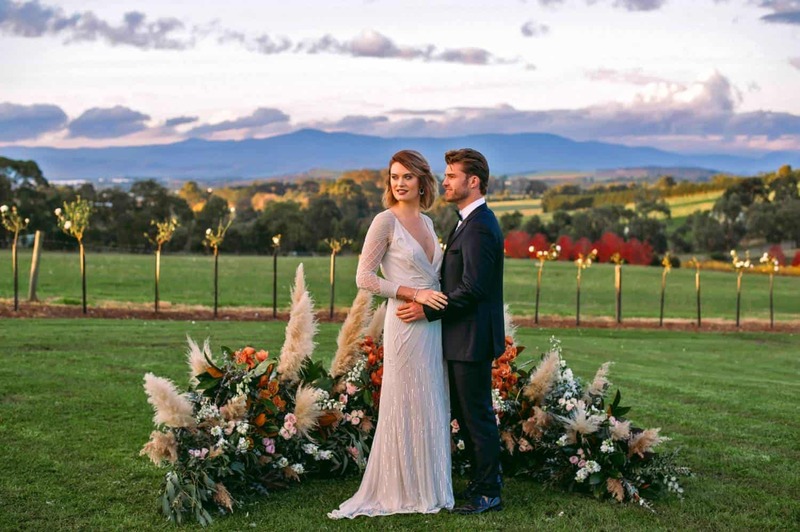 With breathtaking views of the Yarra Valley and Yarra Ranges beyond, Vines of the Yarra Valley provides a setting of unforgettable beauty for your magical wedding day. We specialize in exclusive, romantic, and personalized weddings to make your big day simply perfect in every way, with everything you need in one fabulous location. Your guests will be hosted in our romantic, sophisticated rustic-lam space while sipping wine made on the premises. 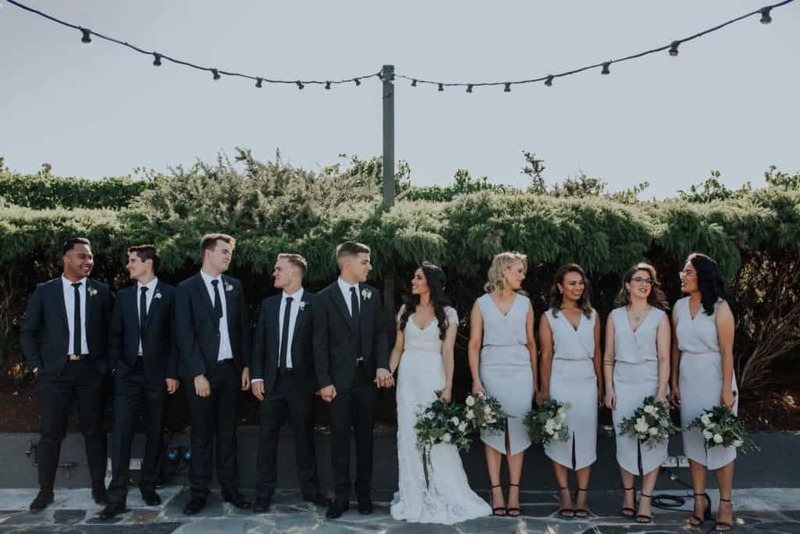 Our events team will carefully assist with all of the details, from helping you select your individual wedding menu to making sure every element is perfect when it’s time to walk down the aisle. We’ve expertly designed our weddings to provide you with a full-service experience as we help you craft the day you’ve always imagined. 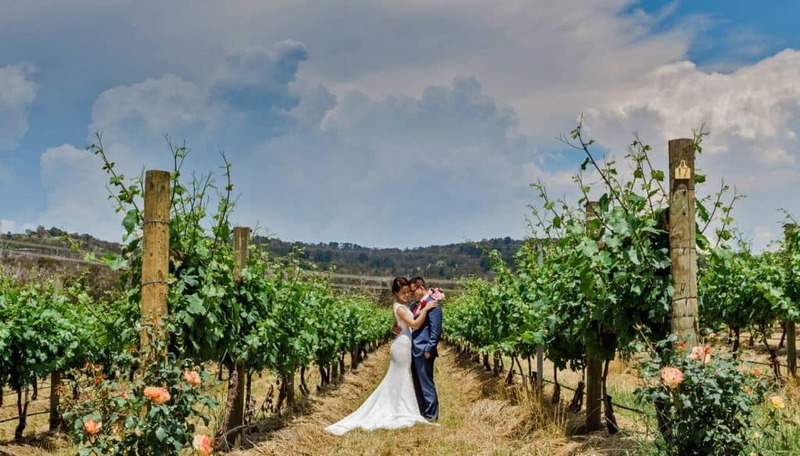 You will remember the Vines of the Yarra Valley wedding venue of your dreams with photos taken against the backdrop of our wineries and Yarra Valley. 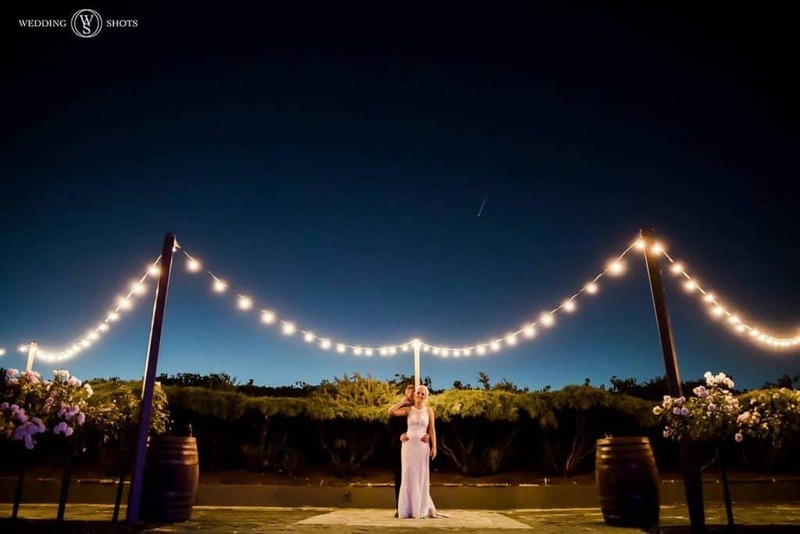 Enjoy estate grown wine and dance your way into the night under the stars. Hold your next event, function or accommodate your conference in a spectacular setting overlooking the Yarra Valley. 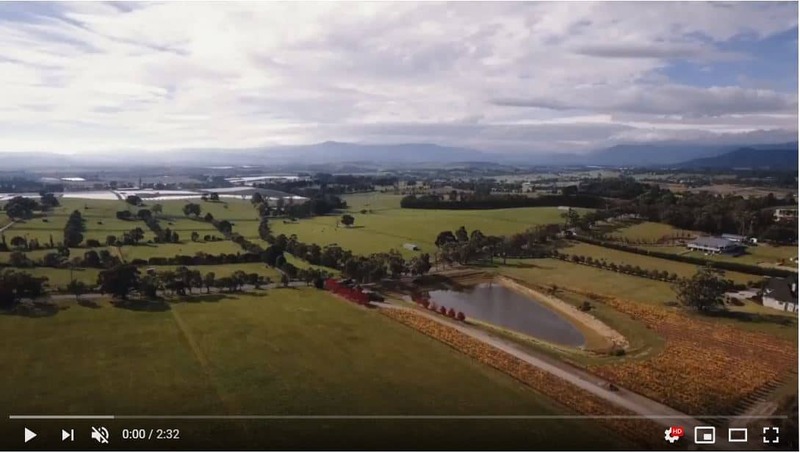 Vines of the Yarra Valley is an events & function venue located on Helen’s Hill within a family owned and operated vineyard. The site offers a spectacular 360-degree vista of the valley and the mountains beyond. 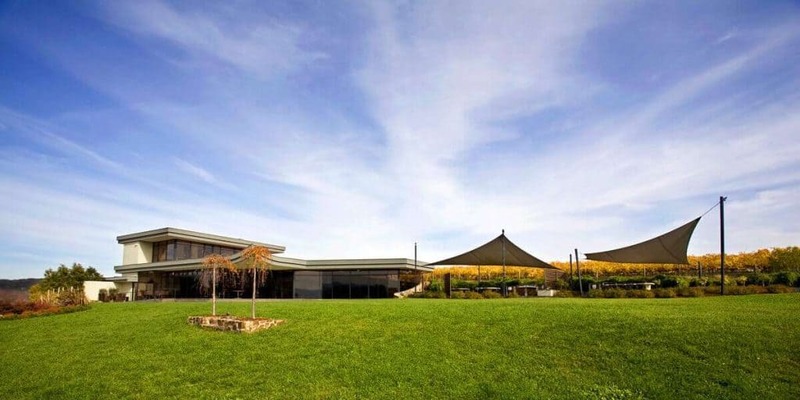 With a main room that seats 120 for meals or 140 for stand up cocktail functions, Vines of the Yarra Valley can accommodate your conference, work Christmas party, cocktail party, or wedding. For extra seating or a little more privacy, there are upstairs rooms that will seat up to 50. We're committed to creating a truly unique experience for you and your guests. 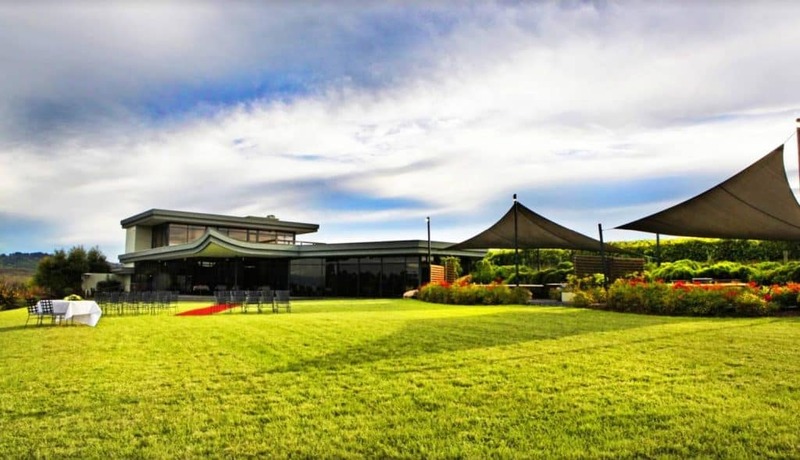 Vines of the Yarra Valley offers you a perfect venue for your function or corporate event. We are renowned for serving the finest quality cuisine, focusing on fresh, local produce and Estate-grown wines. We are guaranteed to leave you and your guests delighted with our level of service and guest experience which is second to none. 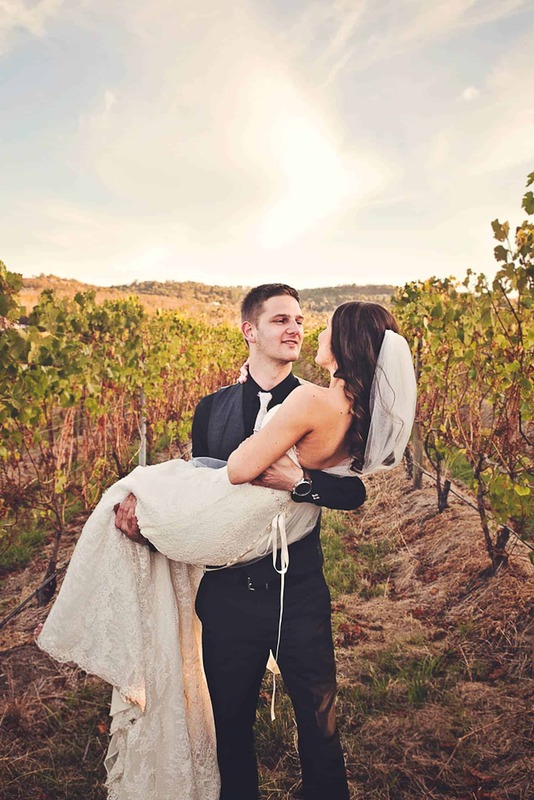 A stunning vineyard backdrop gives you a myriad of photography options, and the view from the top of the hill is stunning. 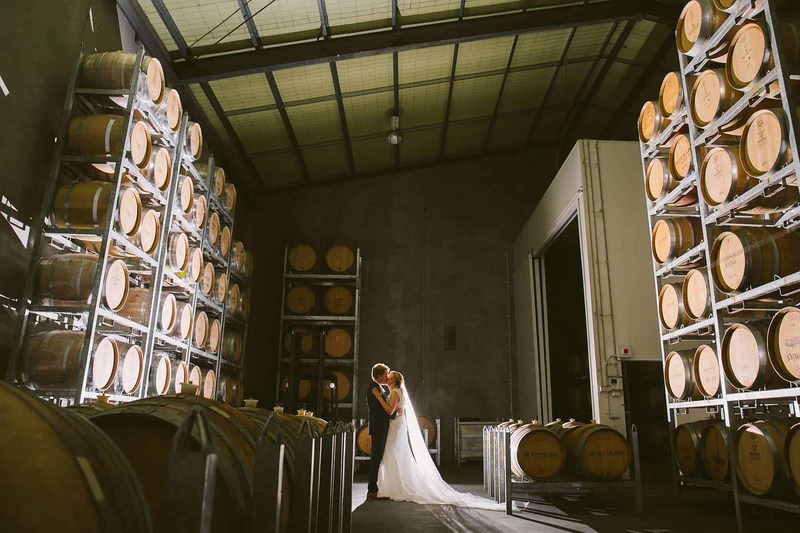 If you have always dreamed of a winery wedding, you may not need to go much further than Melbourne’s outskirts. And with the unmatchable food and wine that vineyard venues offer, not to mention the spellbinding views of rolling hills and lush green vines; what more could you want? With capacity for 150 guests, including a dance floor, the room allows for flexible layouts to weddings of all styles. Weddings are wonderful occasions; full of love, happiness and with all the people you love in the same place. 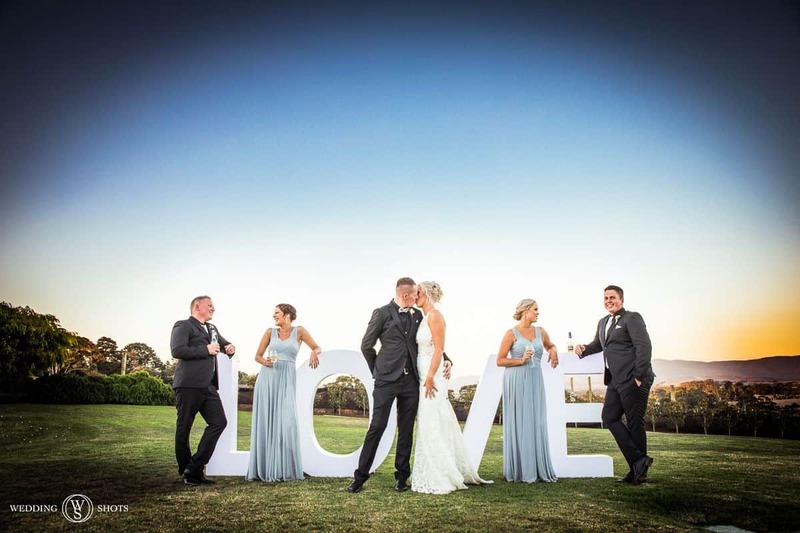 Here at The Vines of the Yarra Valley we have a fantastic Bridal Services Team who go above and beyond to make your dream day a reality! Vogue Ballroom's capacity ranges from 100 to 370 along with its award winning cuisine, expertise, renowned service, and attention to detail its no surprise Vogue is know as Melbourne’s best wedding venue. From their Grand Ballroom with its exquisite details, sparkling crystal chandeliers and majestic staircase, brides-to-be have a wealth of elegant options in the selection of their wedding venue for their special day. When it comes to your special day, Vogue Ballroom has proven itself to be an iconic wedding venue and function centre with a highly reviewed track record. 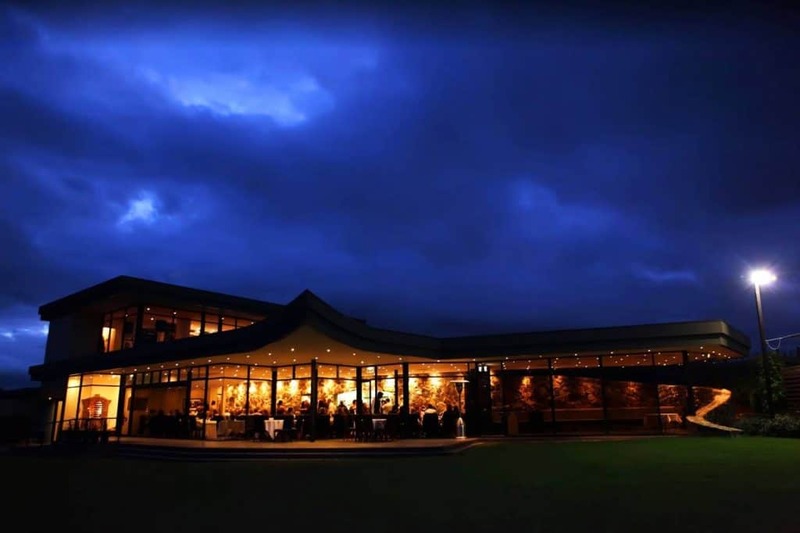 This elegant and stunning wedding reception & function venue sits on top of Helen’s Hill at the gateway of the Yarra Ranges just 45 minutes from Melbourne CBD. 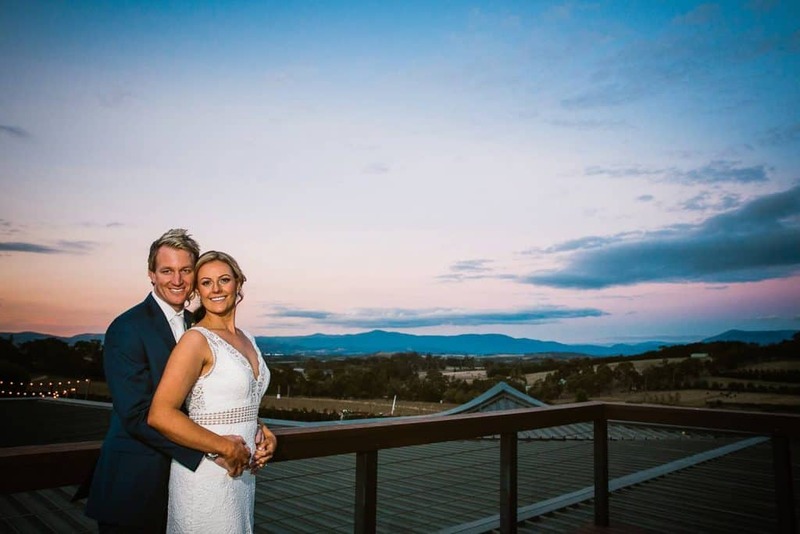 If you’ve been searching for a stunning Yarra Valley wedding venue, look no further than Vines of the Yarra Valley! 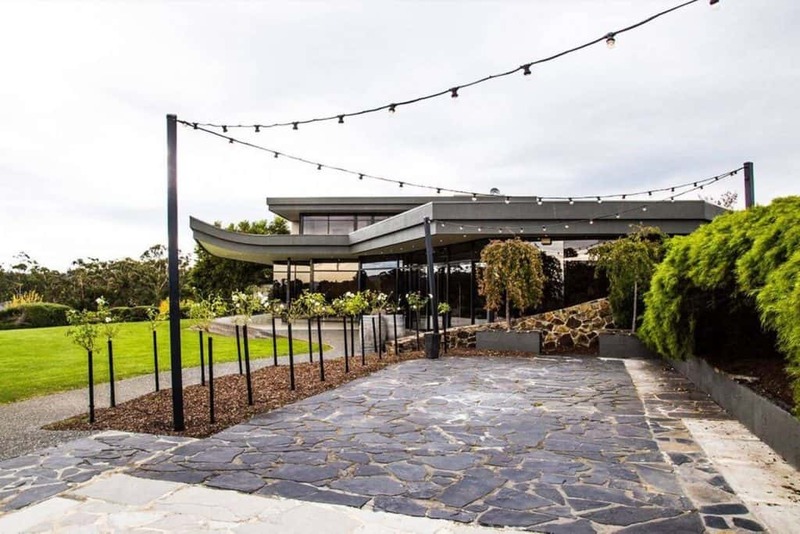 Best wedding venue in Melbourne! came here for mates wedding and the view was incredible! As the sun went down the couple were taking photos outside and it was like a story tale wedding! 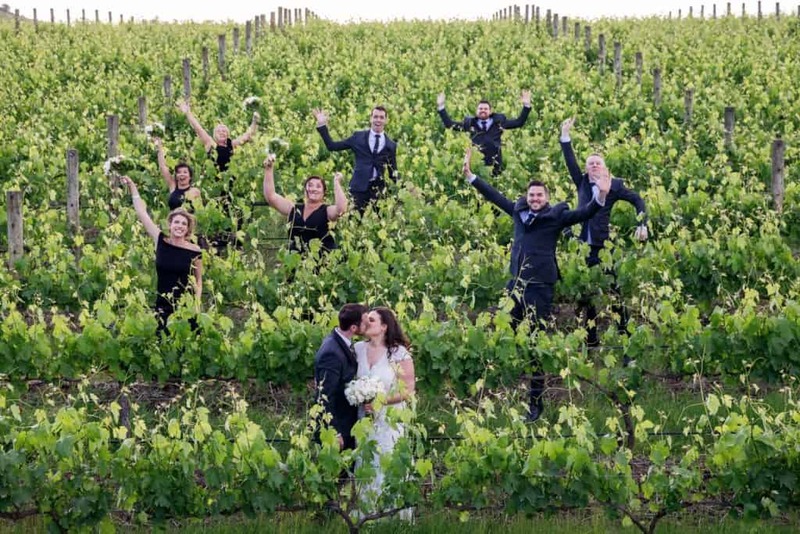 Celebrated our wedding day in the Vines last March 16, 2018. We are in awe with beauty and intimacy of the place! So much the nature and scenery could offer. Perfect venue to celebrate special occasions, birthdays and I dos... The service provided were great! Thank you to Franco, Allanna, Caitlin, Apple, and to the rest if the team. Eventhough we didn't have a wedding planner for our wedding, you guys really helped us, coordinated well and organise everything including set ups and programs. The food was amazing! I am not exaggerating but to be honest, all our guests have positive feedback of the menus and food served. Truly it made our special day the most memorable day of our lives! Thank you The Vines!! 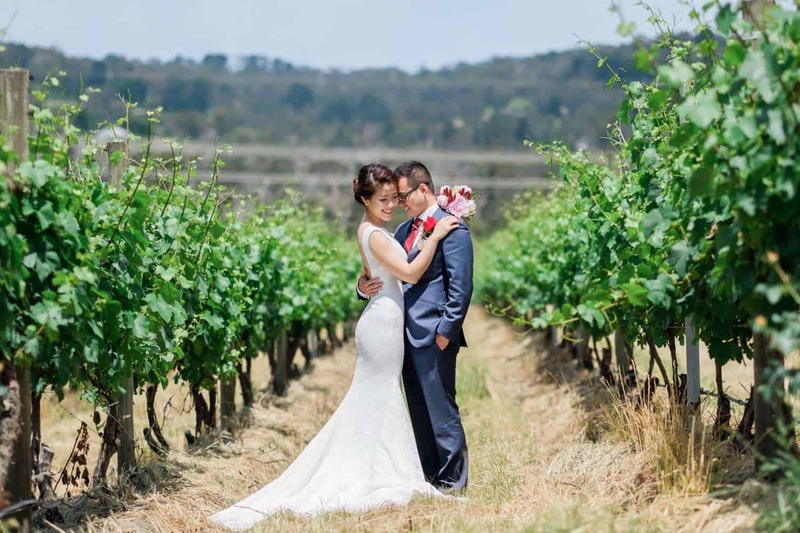 We had our wedding on Australia Day at The Vines. It was the most perfect day. Beautiful venue, amazing food and drinks and the staff were phenomenal. They were so friendly, attentive and made sure the entire day ran smoothly. All our guests (and us) had an amazing time. Unforgettable! As a supplier, we can't speak highly enough about this venue! Their friendliness and professionalism shines through from beginning to end. Their so focused in creating the perfect event and do it so well! 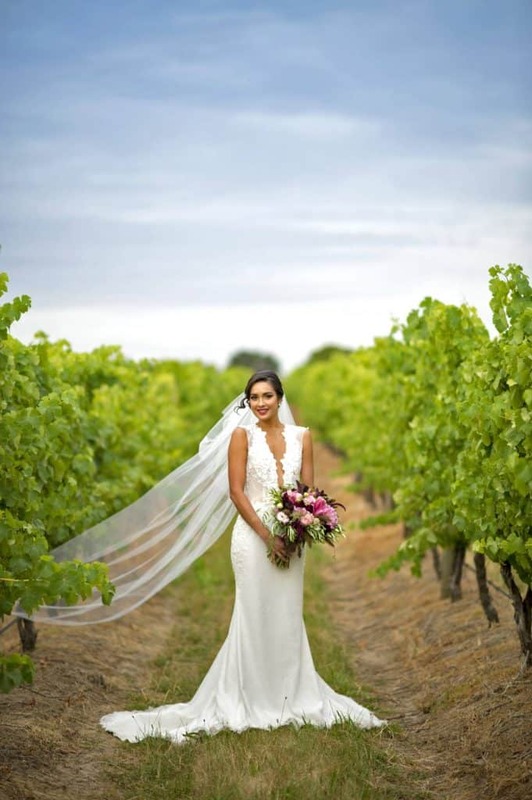 Definitely we will be recommending the The Vines Helen's Hill to our clients in future!